Every Thursday morning, my girl friends and I gather for tea and scones before work. We started our little tradition to ensure we would have time to see each other as our lives become more hectic. Work, significant others, travel, family events, whatever the reason, as we’ve aged it seems harder and harder to assemble. 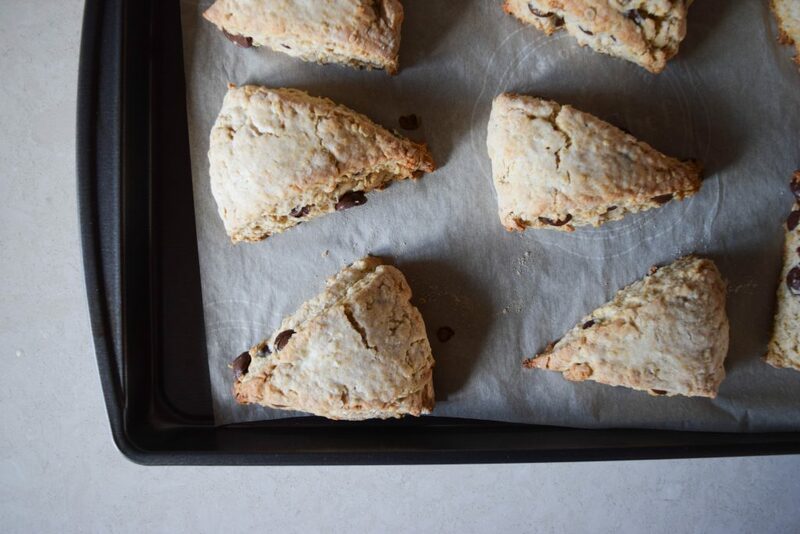 For each gathering, I’ve tried to update my classic scone recipe with different flavors and flairs to keep the ladies coming. This Oatmeal Cinnamon Chocolate Chip adaptation might be my favorite. 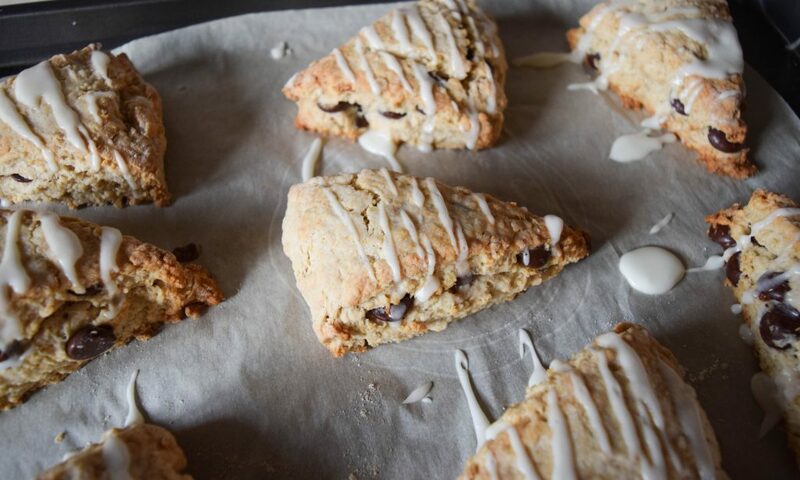 The addition of oatmeal gives the scone dough a heartiness and the cinnamon adds warmth. Given the opportunity, I would add chocolate to everything I make. Here, bittersweet chunks add a richness as they melt in your mouth. Make a batch today using your Farmer Owned ingredients and give some to the important people in your life! Whisk together flour, sugar, baking powder, baking soda, salt, and cinnamon. Add oats. Add frozen grated butter and work into dry ingredients with your hands. Whisk together the heavy cream and the egg. 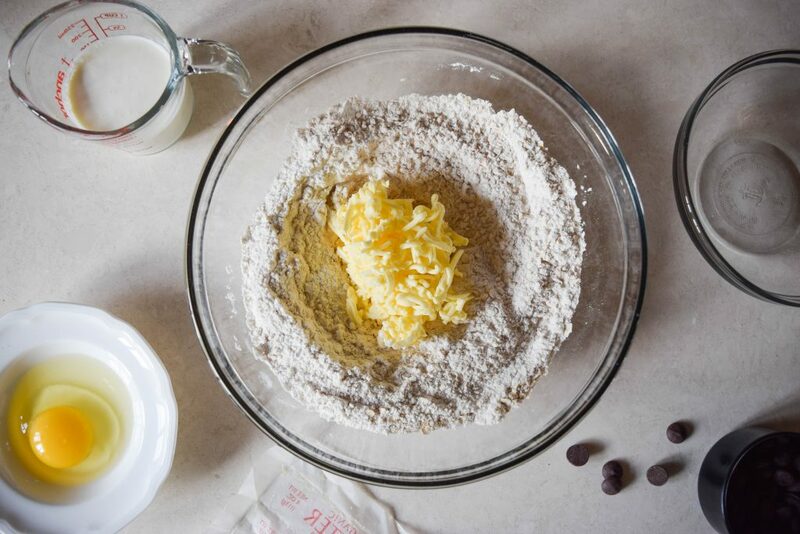 Stir into dry mixture until completely incorporated and the dough starts to form a ball. Turn the dough out onto a floured surface and roll out. Use a lot of flour, the dough is quite sticky. 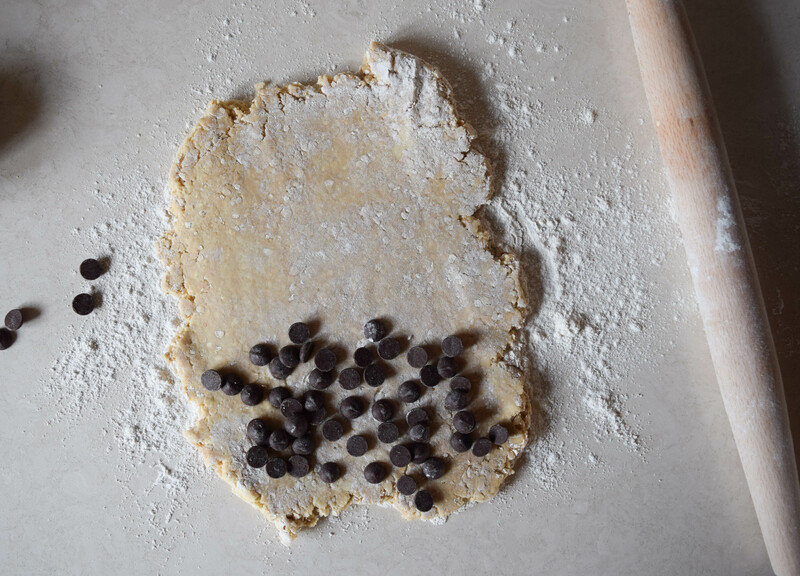 Place chocolate chips on one side of dough and fold the rest of the dough over. 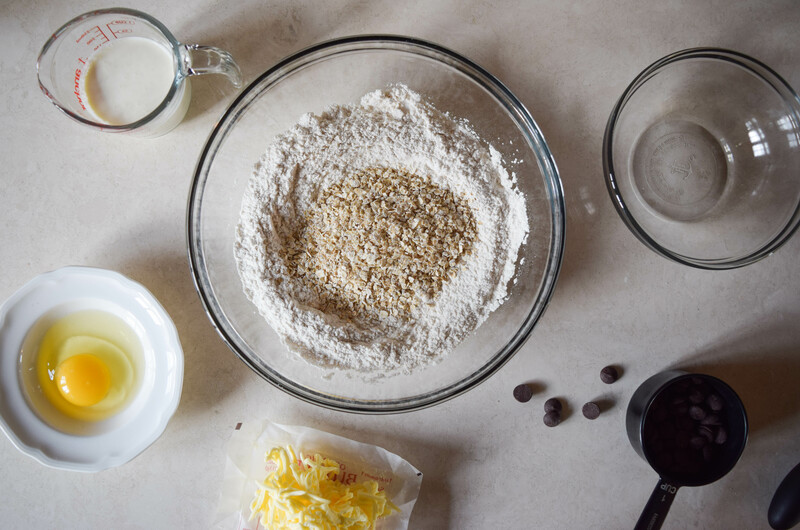 Keep kneading the dough until the chocolate chips are evenly distributed. 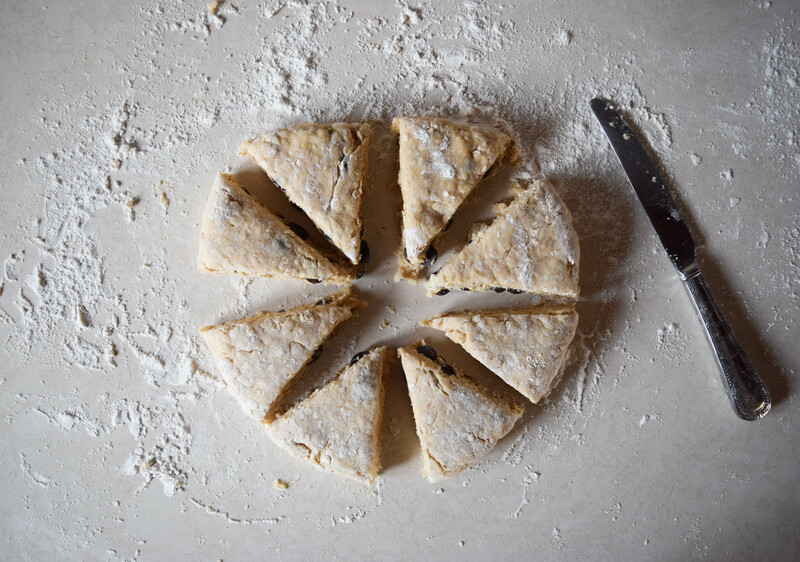 Pat the dough into a disc shape and cut into eight triangles. 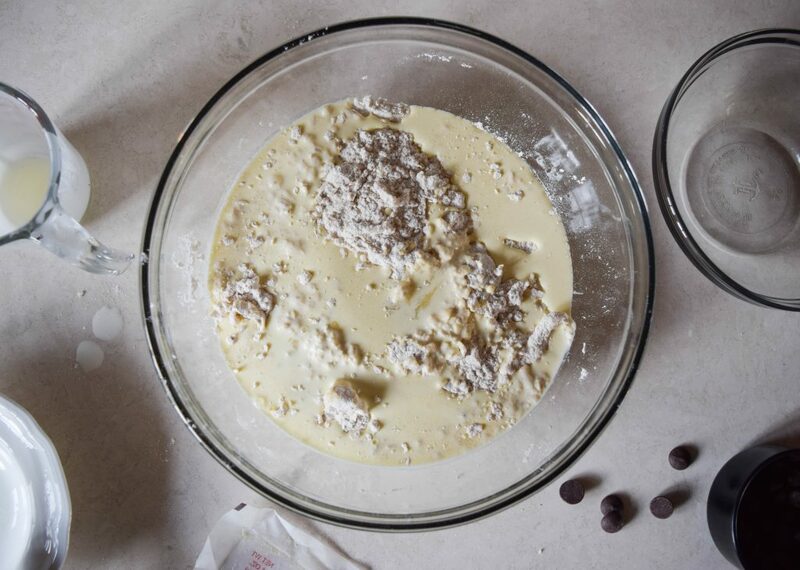 Place the dough on a cookie tray lined with parchment and brush lightly with heavy cream. Chill in the freezer for 10 minutes. Preheat the oven to 400°F. Remove scones from freezer and transfer to preheated oven. Bake for 15 – 18 minutes, rotating the pan halfway through. When the scones are lightly browned remove from the oven and let cool slightly. While the scones are cooling, make the glaze. Whisk together heavy cream and confectioners sugar until it makes a thick but pourable glaze. 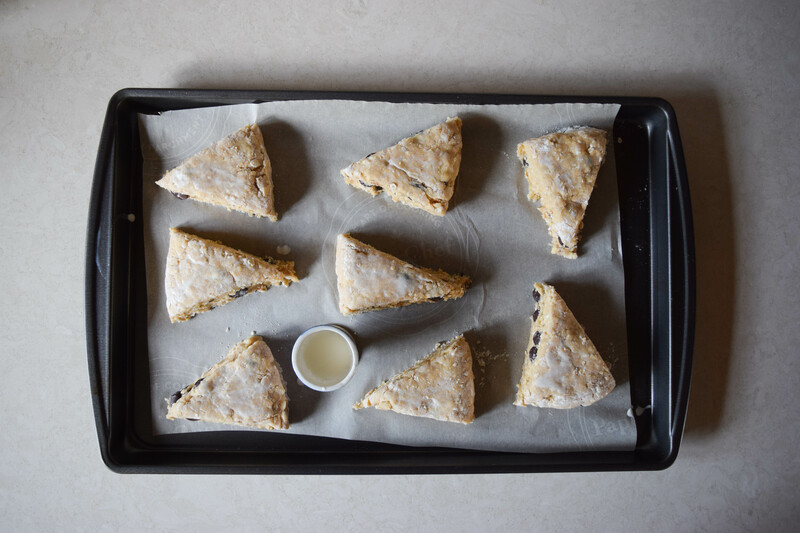 Drizzle glaze over scones and serve immediately. Enjoy!